Chocolate cake makes sweet dreams come true. 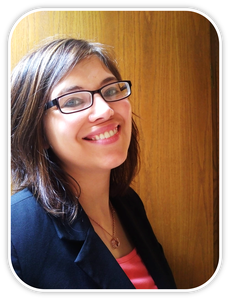 In a real-life fairy tale, author Sheryl Ness shares how she fell in love with Vincenzo, a chef in a quaint Tuscan kitchen, over his decadent hot chocolate cake. This enchanting memoir will transport you to the cobblestone streets, lush hillsides dotted with grapevines and olive trees, and unique characters that create the backdrop for Sheryl’s Italian love story. 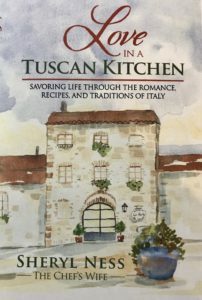 Love in a Tuscan Kitchen is sprinkled with traditional recipes she collected along the way and flavored with rich accounts of how her dreams were fulfilled many times over while living in a picturesque village in Chianti. Raise a toast and taste pure joy as Sheryl opens her heart to love, and in turn finds herself on a remarkable journey of discovery through the people, traditions, and customs of Italy as the blond Americana fell in love with the chef with twinkling eyes.